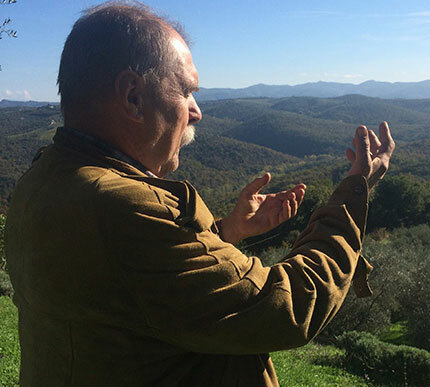 IL Palagio Extra Virgin Olive Oil is certified Organic and produced in the hills surrounding Radda in Chianti. 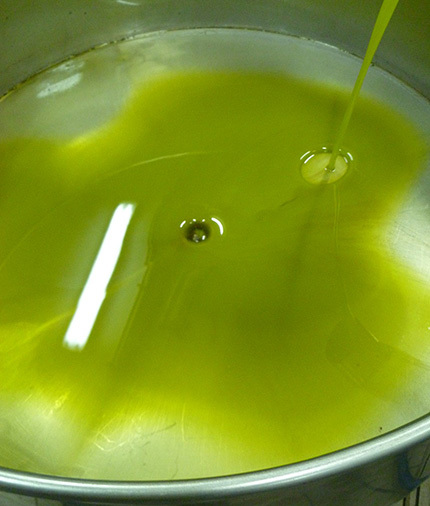 All the spirit of Maurizio and the passion that comes through in Dario’s prose flows through each drop of this unique oil. 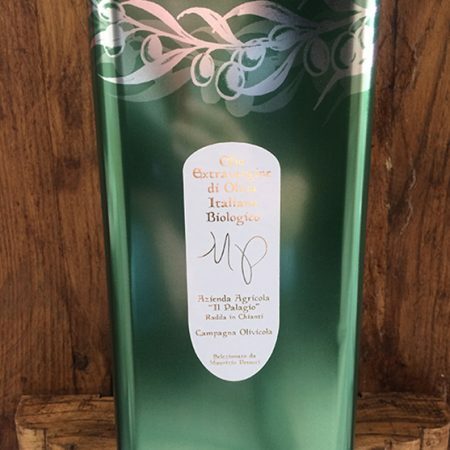 With each year’s late November/early December harvest, the Palagio team is committed to being able to ship this exquisite oil to you to enjoy days after the olives were basking in the sun on a hillside, making for a truly alive culinary product that’s cause for celebration at table with friends and family. 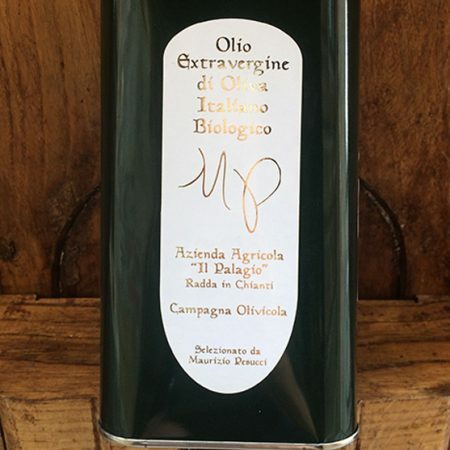 Of course, Il Palagio Extra Virgin Olive Oil keeps wonderfully all year as well, until the next harvest and another annual “olio novo” festival from your friends! 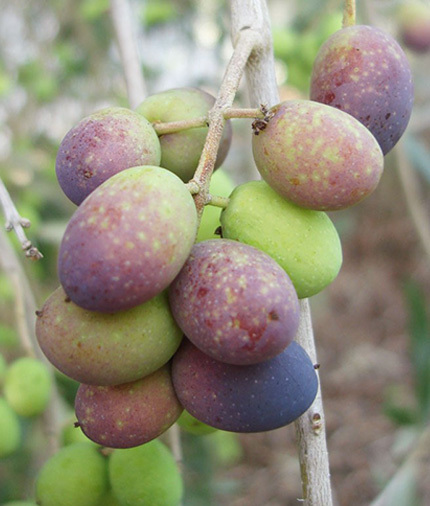 Nutrition: Healthy and Good For You! 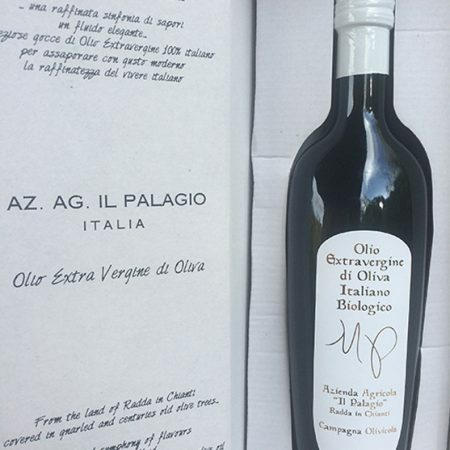 Il Palagio Extra Virgin Olive Oil olives are grown in the hills surrounding Radda in Chianti at an altitude that varies from 250 to 500 meters above sea level. 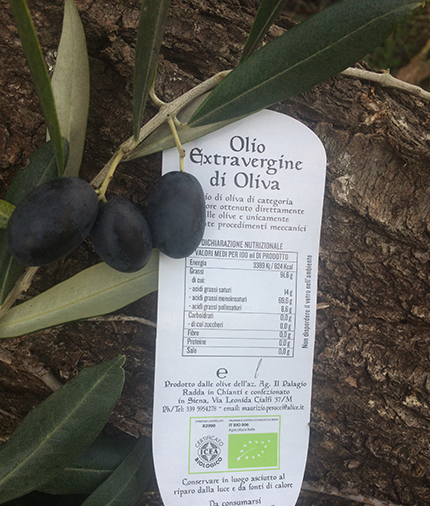 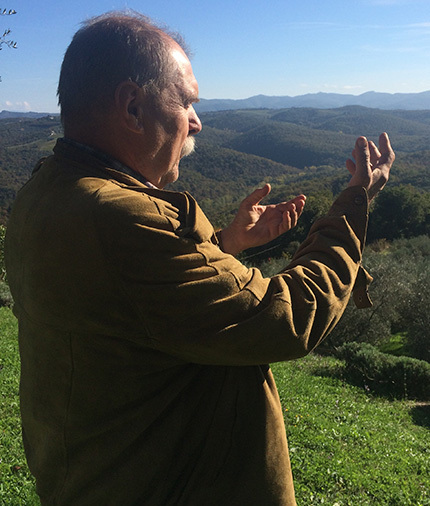 The olives are of four varieties – leccino, moraiolo, pendolino, frantoio – and are exclusively hand picked. 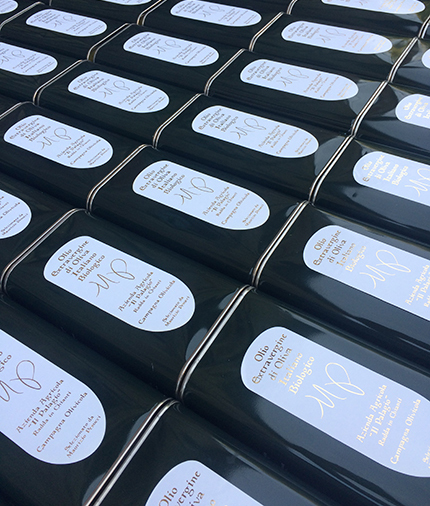 Il Palagio Extra Virgin Olive Oil is ideal for any type of gastronomic purpose and is a cornerstone of a healthy Mediterranean diet. 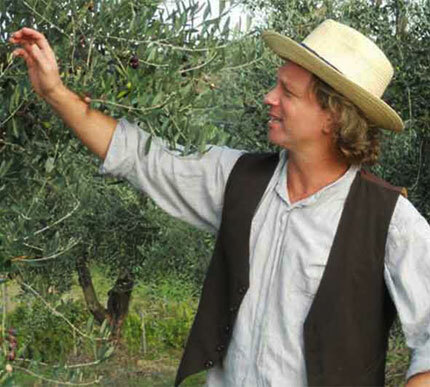 The nutritional values and benefits of extra virgin olive oil are enhanced by the fact that its composition is equilibrated towards unsaturated, “omega” essential fatty acids: oleic acid (primarily) as well as linoleic and linolenic acids. 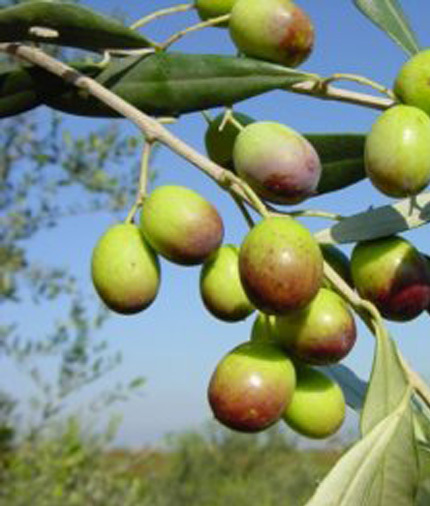 These fats are known as essential because, not being able to be synthesized by the human organism, they have to be introduced through alimentation. 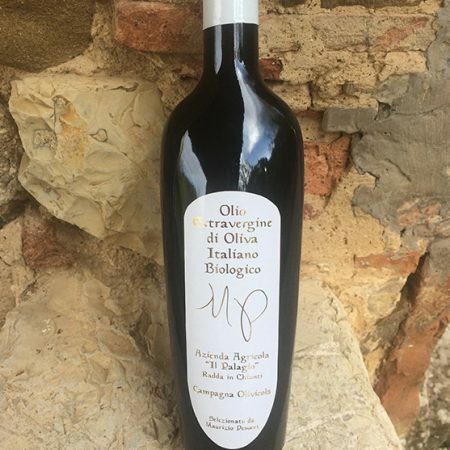 Apart from this particular and nutritionally advantageous composition, the antioxidant properties of extra virgin olive oil, including those derived from vitamins K,A,E and D, are extremely important to good health as well. 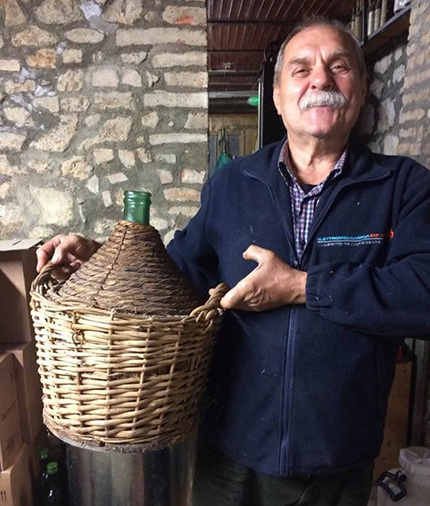 OUR BEST OF THE BEST – NOW AVAILABLE!